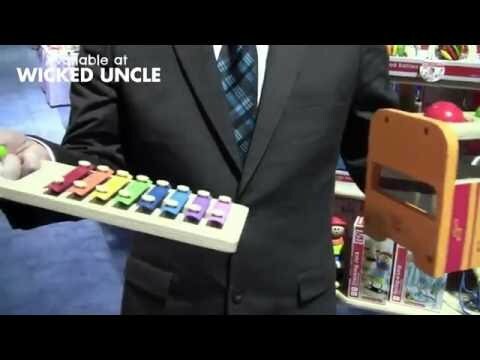 This clever wooden musical toy combines a pounding bench with hammer and a xylophone to great effect. Simply tap the balls through the top with the hammer and send them tinkling over the xylophone. Then pull the xylophone out of the pounding bench to be played separately. A beautifully made wooden set with a detachable xylophone that has metal notes, wooden hammer and 3 coloured balls. A great way to get little people excited about making music. Innovative stacking wooden music set with 5 different pieces to play.